﻿We said we weren’t going to get much for Thea this Christmas. After everyone was so generous on her first birthday in September, it fast became obvious that she had/has far too many toys! However, we have bought her a few items that I hope she’ll like. We’ve probably purchased a little more than we planned. Oops. Sale shopping is definitely the way forward, and there are only a couple of items that I can think of that we paid full price for. These i teams were only £3 each anyway. I tend to pick things up throughout the year as I find this seems less harsh on the purse strings. If I leave it all to November time, then it always seems like so much is coming out at once. I do this with most gifts- buy throughout the year, or at least make notes on what people like or mention. This is currently £37.99 on Amazon, but the original price is listed at £54.99. However, we purchased this on Black Friday for the great price of £29.99. I haven’t seen it anywhere else and think we got a bargain. I am contemplating giving this Thea for Christmas, although my aim was to give it her towards Spring time next year. 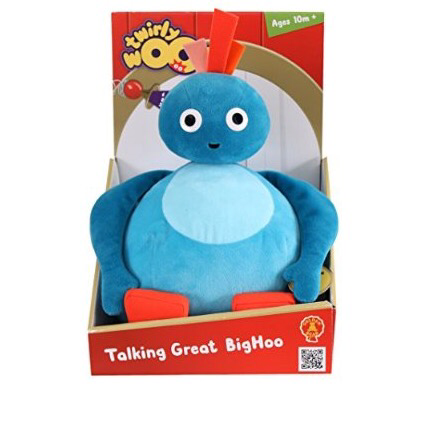 2: Twirlywoos Great Big Hoo Talking Soft Toy. For the next two items, I did have to rely on family/friends to place the order as I don’t have Amazon Prime. For people who don’t have Amazon Prime, Great Big Hoo is £16.99. If you are a Prime member the you can currently purchase him for £8.54. However, when he was ordered for me last Saturday (3/12/16) he was £6.23!!! Same process as above. 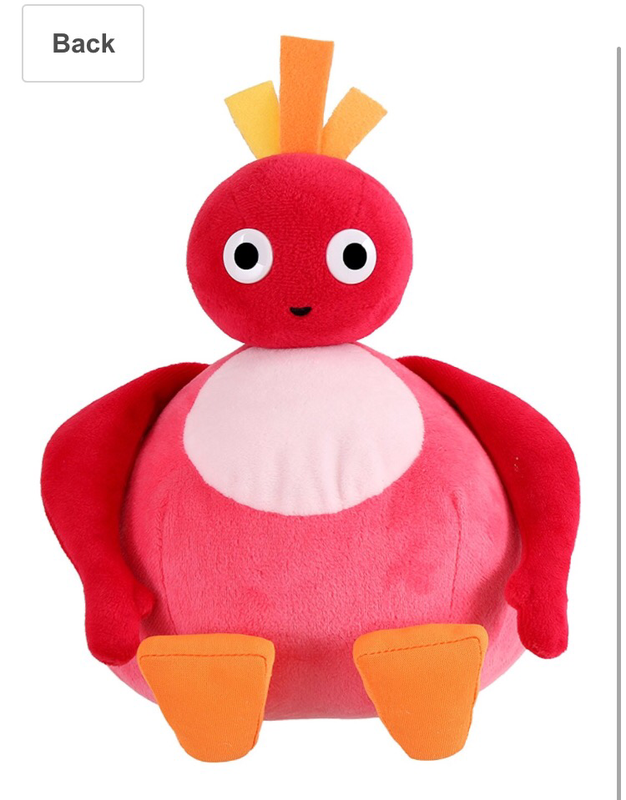 Toodloo for non Prime members is £14.99. After the above went on sale, I have been checking each day in hopes that the others would drop in price for Prime members and low and behold, first thing this morning, Toodloo had dropped to £5.69. I’ve been back on just now and their is still an offer available for Prime members, but it has already risen to £9.96. So glad a friend could order it for me this morning! I’m definitely keeping my eye out for price drops on Chickedy and Peekaboo! 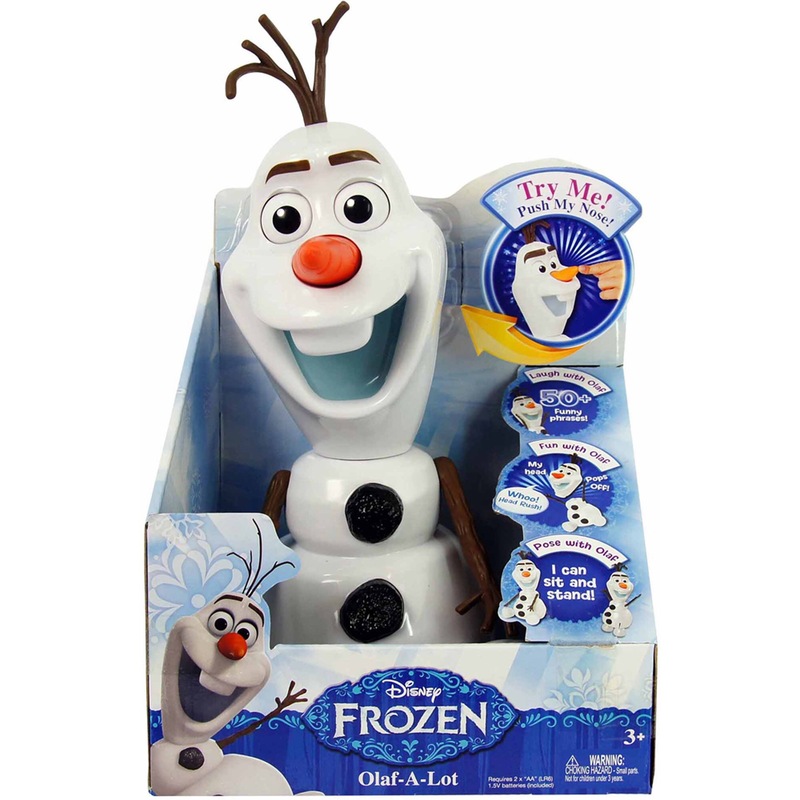 Currently at £40 but out of stock, if you spend £50 on selected wooden toys (most of them) you get 20% off. 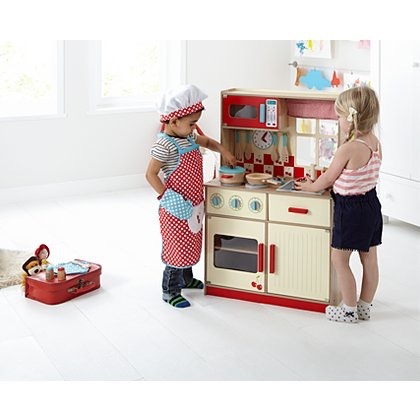 This was the offer we had, although the price of the kitchen was £50 as it had this set included. The set sold separately is £52 so £2 more at the minute if you wanted to purchase both. With the discount we paid £40 so technically you could say comparing to prices at the minute, we got the wooden cooking set free. 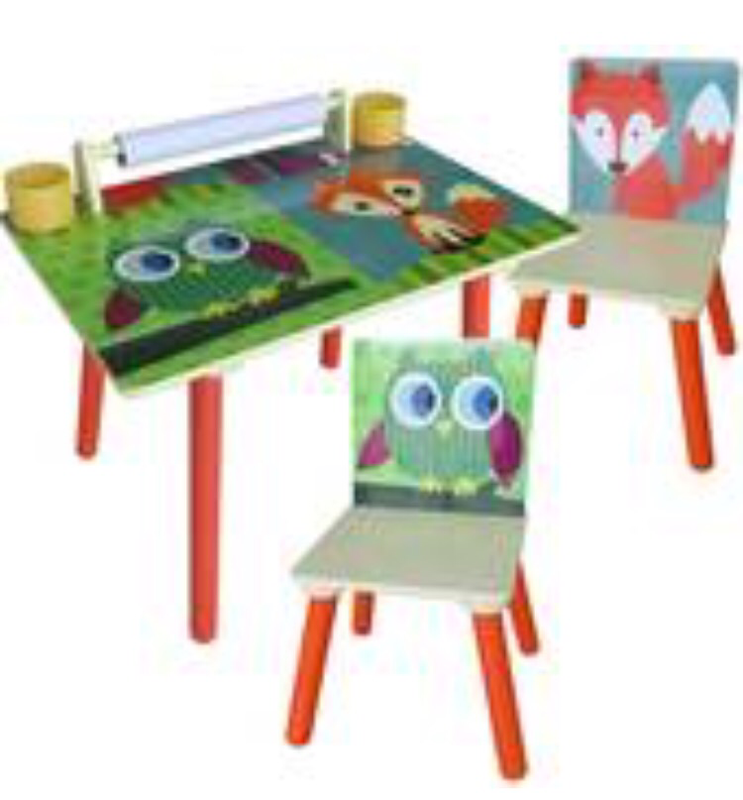 5: Owl & Fox Kids Table & Chair Bundle. I can’t link you to the bundle as they’re selling the table and chairs separately at the minute, although it amounts to the same price. It was priced £40, or currently £20 for the table and £10 for one chair. It wasn’t on offer, however, if you signed up to the Hobbycraft news letter or whatever it is, you received £20 off of your first order, so the total for this was £28.80. It comes with the roll of paper as well, which I was expecting to have to buy seperatly. Still £10 at Mothercare, it was free click and collect, which I didn’t mind as I ordered it over the summer and purchased birthday presents for Thea at the same time. The next cheapest place I can find it is Amazon at £11.99, but if that’s all you wanted, you would have to pay postage and packaging. 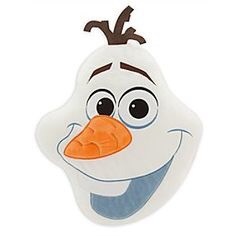 7: Disney Frozen Olaf Plush Cushion. No link available to the Disney shop as it is no longer available. A friend tipped me off on this one. Without checking (and I can’t because it’s wrapped) I think these cushions are around £15? Correct me if I’m wrong! I paid £8.50. Aww thank you. I know the list isn’t very long but thought I’d share what I found. She’s 15 months so will be about ready to ride around in it, but think we’ve decided to wait until maybe spring when it’s a bit nicer out. Bargain was too hard to resist though! Hahaha you will be sick of the sight of them by Christmas haha!!! I like the imaginative toys you’ve chosen! When my daughter was a little bit over a year old, we got her a kitchen and a cozy coup and she loved them! Gosh! How’s the 16 year old handling that? Oh, she’s been waiting for a sister for a LONG time so she’s thrilled. Like a second mommy to her. ^_^ I also have two boys, 13 and 5, so she’s had her fill of boys over the years, lol. I’m really excited. She loves playing pots and pans- my actual ones that is so glad she’s got her kitchen! 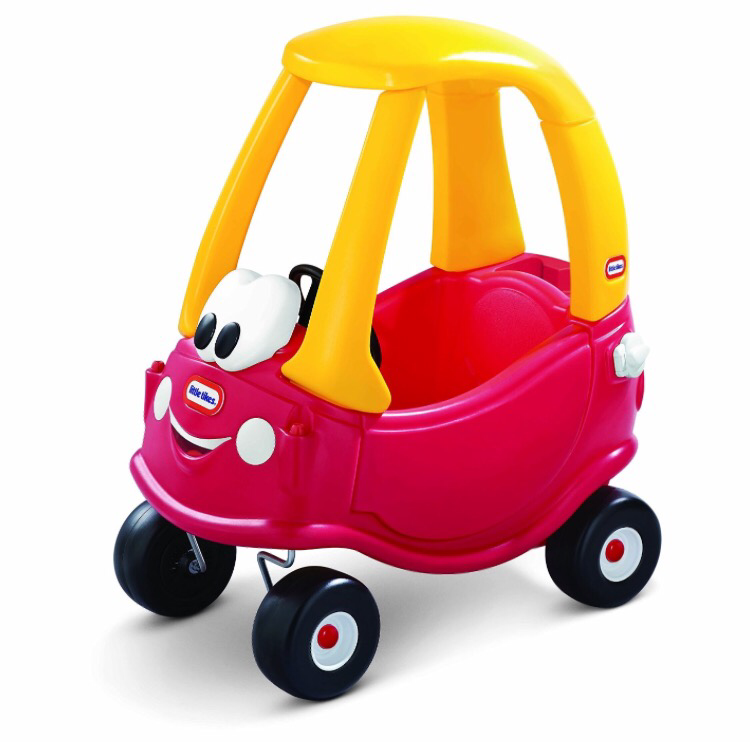 I’ll save the cozy coupe for later on when it’s a bit nicer out but thought it was a great bargain!